The University of Montana is thrilled to welcome Gina Ochsner this week, presenting a fiction craft lecture titled “Mistakes I Have Made and Great Advice I Wish I Had Taken to Heart” at noon on Friday, Feb. 9, in the Dell Brown Room of Turner Hall. The author will give a reading the same day in the same location at 7 p.m. Both the lecture and the reading are free and open to the public, sponsored by the President’s Writers-in-Residence Series and the UM Creative Writing Program. Ochsner teaches writing and literature at Corban University in Salem, Oregon, and with Seattle Pacific University’s Low-Residency MFA program. She is the author of the short story collection The Necessary Grace to Fall, which was selected for the Flannery O’Connor Award, and the collection People I Wanted to Be. Both collections received the Oregon Book Award. 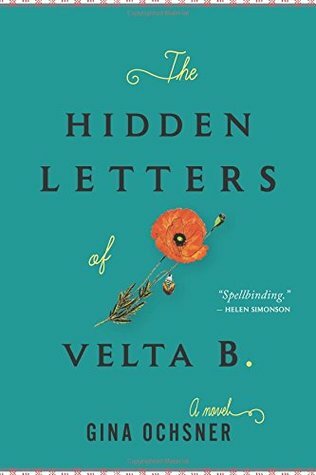 Her first novel, The Russian Dreambook of Color and Flight, was released in 2010 by Houghton Mifflin Harcourt and her latest novel, The Hidden Letters of Velta B, will be out in paperback this summer. Visit GinaOchsner.com to learn more about the author, and view a .pdf presskit for The Hidden Letters of Velta B.